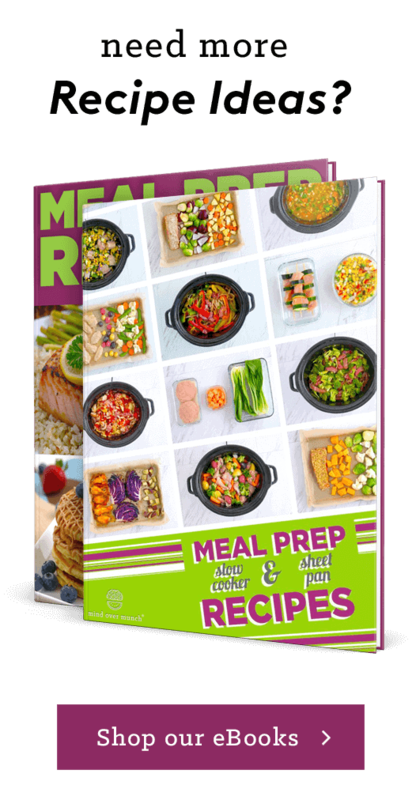 Our best selling ebook turned into a course – Meal prep ignite! Pumpkin Pie Dip without Cream Cheese – Healthy Holiday Party Recipe! Fall is the time for pumpkin EVERYTHING—why not pumpkin pie in dippable form?! With a few simple ingredients, you can create the crave-able flavor and indulgent creaminess of pumpkin pie. But, without the refined sugars and with loads of wholesome nutrients! Between the pumpkin puree and the comforting blend of spices, this pumpkin pie dip is like a bowlful of fall time. Perfect for holiday get-togethers, served with fruit, veggies, gingersnaps, or any dippers you like! If you’re like me, the holiday season is all about treats! Along with more treats. But, the treat overload definitely takes a toll on our bodies. That’s why I try to find ways to satisfy my holiday flavor cravings without tons of sugar and junk. Hence, this pumpkin pie dip! I LOVE regular old pumpkin pie. So, I’m not gonna pretend this pumpkin pie dip is a ‘replacement’ for the pie that I love. But, it does have the crave-able flavor of real pumpkin, cinnamon and pumpkin pie spice, and some almond butter for a hint of satisfying nuttiness! Mixed into a creamy base of protein-packed Greek yogurt, I get to enjoy the fall-time flavor explosion that I crave without completely de-railing my healthy eating over the holidays. Or, you can also make this pumpkin pie dip vegan by using a non-dairy yogurt! Most importantly, YOU are in control of the sugar content in this pumpkin pie dip. Really, you only need 1-2 tablespoons of maple syrup for the entire recipe—sweeten to suit your taste. Then, grab your favorite dippers and dig in guilt-free! With tons more pumpkin-y goodness in my 150+ Healthy Holiday Recipes eBook! In a large bowl, combine all ingredients. Whisk to combine, or use a hand mixer to beat until well-integrated. Adjust sweetness to taste. 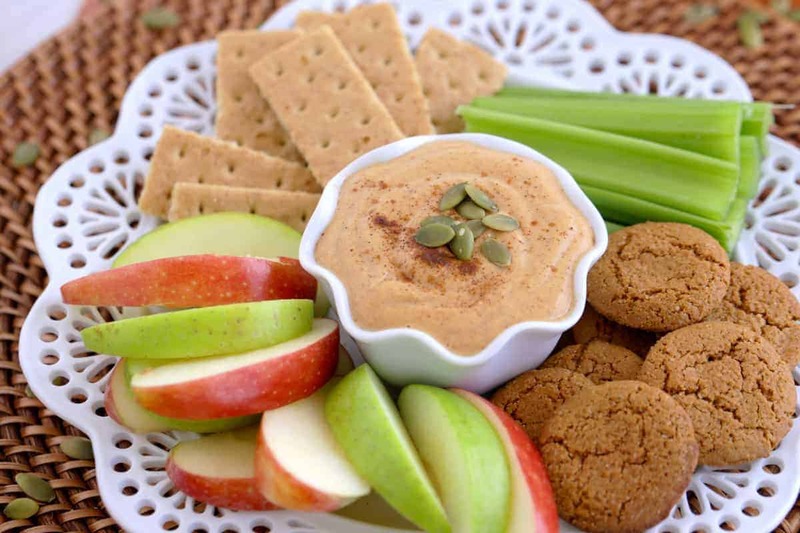 Serve with dippers like graham crackers, gingersnaps, apple slices, pretzels, celery—whatever you like! Yields ~1¾ cups pumpkin pie dip. *Nutrition provided for pumpkin pie dip made with plain nonfat Greek yogurt. 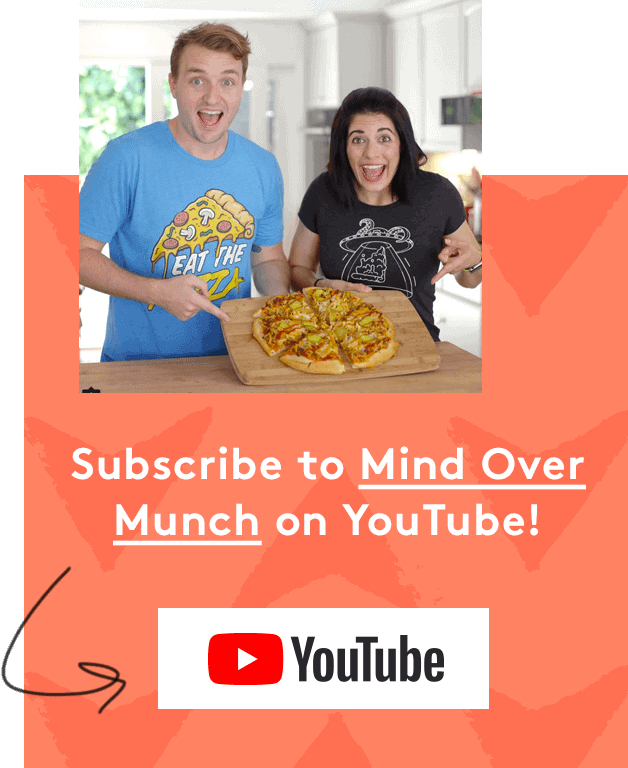 Healthy Pumpkin Pie for the Holidays + ANNOUNCEMENT! Healthy Pie Flavored Breakfast Smoothies! © 2019 Mind Over Munch.